YouTube has a very cool visualization that lets you discover related videos. Just go to a YouTube video, click on the full-screen button and then click on the small button that shows a network. A lot of video ballons will pop up and the configuration will change once you hover over a button. 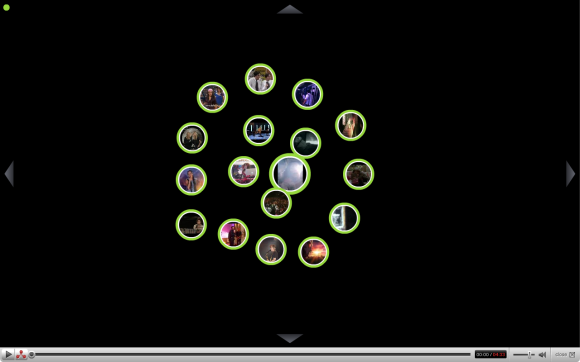 It's an interesting way to discover videos and it reminds me of visualization sites like Liveplasma and Musicovery. Update: You can find the visualizations at www.youtube.com/warp_speed.